Duane Stephenson is more than just a reggae singer. His work exhibits the versatility of many of music’s greatest artists in the pop realm; mixing poetic lyrics that address social ills, romance and global issues with excellent phrasing, potent hooks and melodic changes – all delivered in an extremely nimble tenor that wakes the soul and challenges the mind. Duane Stephenson’s work as a songwriter reflects contributions from a diverse group of industry veterans including a collaboration on “Better Tomorrow” with Jamaican mega-producer Handel Tucker creator of hits for Maxi Priest, Diana King, Shaggy and The Fugees. “Better Tomorrow” is an uplifting ballad with world music influences and an optimistic message. An accompanying video was directed by Ras Kassa the Guru director of Damian Marley’s Welcome To Jamrock and other innovative videos with Sean Paul, Richie Spice and Tarrus Riley. The” Better Tomorrow” video features uplifting scenes of people striving to overcome obstacles and a sincere message of encouragement to those in the artistic community with scenes that include a ballet dancer, as well as varied musicians including a full string section. Duane wrote “A Step for Mankind” with The Wailers to benefit the United Nations World Food Programme. The track has become the anthem for global hunger eradication. The song is featured on Oniric Record’s Solutions for Dreamers: Season 3 which directly benefits the WFP, the song is most importantly a call to action for everyone to stand up against hunger and truly help mankind take a step in the right direction. Duane was introduced to the Wailers through their work with the UN World Food Programme. In the fall of 2010, Duane teamed up with The Wailers, led by Aston “Family Man” Barrett performing as a special guest on tours throughout North and South America. in Brazil he shared equal billing with Ky-mani Marley, Big Mountain, Pato Banton and The Wailers for the One Life Tour. Recent shows have garnered a positive response with sold out performances for this compelling songwriter and versatile singer. Festival performances in 2011 include the Rotterdam Reggae Festival in The Netherlands, Rockers Rockers Rockers in France, Sierra Nevada World Music Festival in the United States. The collaboration with maestro Dean Fraser began when Duane Stephenson was the lead vocalist of the band To Isis, a role he filled for ten years before releasing his solo debut. Duane first approached Dean to produce a To Isis album. Fraser, who has contributed to more than 1,000 albums in his career including chart-toppers by Luciano and Tarrus Riley, saw the raw talent in Duane, whose first hit song FROM AUGUST TOWN, chronicled the life experiences he had growing up in this area of Kingston, where he had watched many fall from violence and the ills of poverty. Duane Stephenson was surrounded by music as a youth, his uncle Michael Rutherford was the lead singer of a popular group known as Sunny Bradshaw and the Big Band. During his childhood he was encouraged to participate in music studies and attended Cathy Levy’s Little People and Team Players Club, a performing arts school based in Kingston, Jamaica. Being a member of this club allowed Duane to travel extensively throughout Jamaica, The Caribbean and the United States where he performed for US president Bill Clinton. 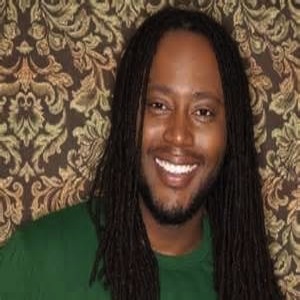 Duane Stephenson creates music that uplifts and enlightens with a greater mission for the betterment of humanity. Watch for his music and message, in celebration of his latest release BLACK GOLD.